The day may come when you have to help your elderly parents move into a nursing home. You may have struggled against this decision for quite some time, or your mom or dad may have resisted the idea of losing his or her independence. However, at a certain point, it becomes clear a professional health care facility is the best place for your elderly loved ones to receive the medical care and attention he or she truly needs. As a child, grandchild, or close friend, you can do a great deal to help your loved one make this difficult transition. Talk openly about the changes: It is a big deal to move an elderly relative into a nursing home – you all know it. Your loved one is probably feeling a wide range of emotions, from sadness and anger to relief. Ask about his or her feelings. Let your loved ones express themselves. Also, do your best to address any feelings of loss, abandonment, or loneliness. Let them make decisions: As your loved ones age and become more in need of assistance, it is easy to start treating them like a child. It can seem faster and easier to just make decisions for them. However, when your relative is transitioning to a nursing home, they may deeply feel this loss of independence and control. Do not needlessly take what power they have away from them. Give them options and work with them to make decisions. This can be particularly important if they have to sell their home and get rid of many possessions to move into a much smaller room or unit at a facility. Help them get to know staff members: Your loved one is moving into a new home, they should get to know who will be taking care of them on a daily basis and who they will see around the halls and dining room. You can go out of your way to introduce yourself and your loved one. Meet people and start conversations so that your loved one might feel more knowledgeable and comfortable. It also helps you know who is caring for your loved one, which can be crucial is anything seems amiss in the future. Participate in your loved one’s care plan: When your loved one moves into a nursing home, he or she will develop a care plan with the physicians and other staff members. If your relative welcomes your presence, participate as much as you can in these meetings. This helps you understand the care your loved one should receive and can help you measure whether he or she receives appropriate care in the future. Schedule visits: Once your loved one is settled into a nursing home, it can be easy to let him or her fall into the background. However, this is a major and difficult change for your relative. He or she needs to see a familiar face on a consistent basis to combat loneliness and other negative feelings associated with the move. You should make a visitation schedule and stick to it. Learn signs of neglect and abuse: There is also the risk that your loved one’s health and well-being will be neglected while living at a nursing home. Worse yet, your loved one could be a victim of abuse. When you know your loved one is going to live at a facility, research signs of neglect and abuse. Talk with your relative about these issues and how he or she should come to you at any time with concerns. 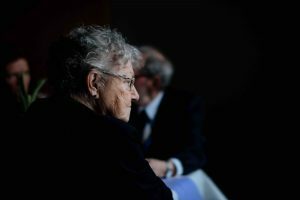 If your loved one is living in a nursing home and you believe he or she is being neglected or abused, contact an experienced California elder neglect and abuse attorney from Brod Law Firm at (800) 427-7020.